LIVE VIDEO: Senate Republicans Call For Confirmation - Joe.My.God. Senate Republicans on Thursday will hold a news conference following the release of an FBI report about allegations of sexual assault against Brett Kavanaugh, President Trump’s nominee to the Supreme Court. 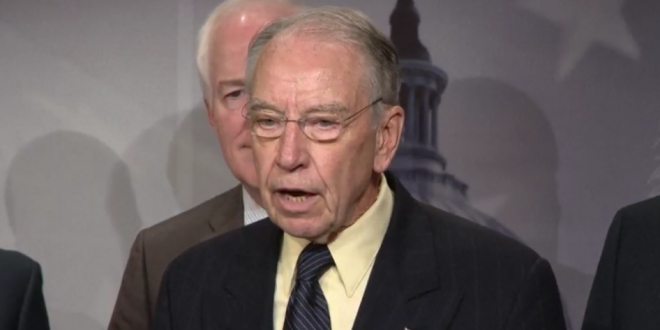 Senators who have already seen the report said earlier in the day that the FBI did not find evidence corroborating the sexual assault allegations against him.